San Diego, April 7: The San Diego Zoo in the US state of California kick-off three-week farewell event for two giant pandas who are slated to leave for China later this month. Twenty-seven-year-old female giant panda Bai Yun and her son, six-year-old Xiao Liwu, will leave as the zoo's conservation loan agreement with China has ended, reports Xinhua news agency. 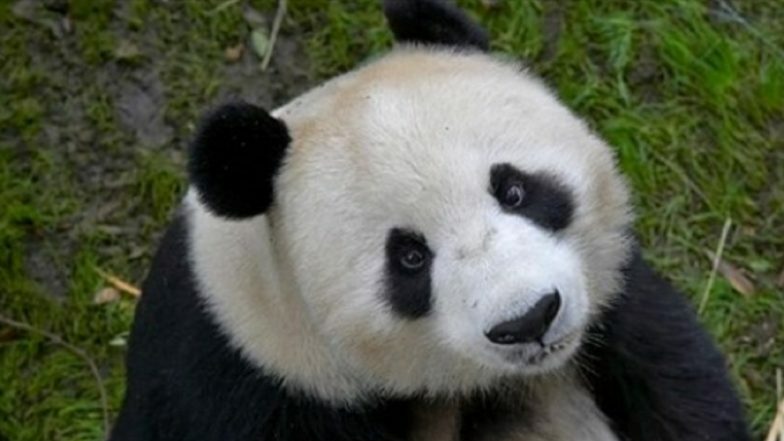 According to the zoo, their staff are working with their colleagues in China on future panda conservation and research. The zoo's giant panda programme is the first joint research programme established between China and the US as early as in 1994, China's Consul General in Los Angeles Zhang Ping said on Saturday. "Like other joint giant panda research and conservation programmes in the US, this program has not only promoted the friendship and understanding between the Chinese and American people, but also pushed forward the bilateral collaboration and joint research on protection and conservation of endangered species of wildlife and biodiversity," he said. Three-Year-Old Jaguar Escaped from New Orleans Zoo, Killing at Least Six Other Animals. Erica Kohler, director of operations of the San Diego Zoo, told Xinhua that it was sad to see the two pandas leaving for China. Dubbing the pandas "the friendship ambassadors" from China, she said Bai Yun and Xiao Liwu attracted about 2 million visitors to the zoo each year. As the first panda on loan, Bai Yun, arrived at the San Diego Zoo in 1996. The cuddly panda soon became an iconic image of the zoo and one of the most popular animals. The name of her son, Xiao Liwu, means "Little Gift' in English. Currently, the zoo is busy preparing for the pandas' travel back to China and trying its best to make them feel comfortable during the trip, according to a zoo official. Many zoo visitors lined up to say goodbye to the pandas, and wrote down their best wishes on cards and posted them on a friendship wall set up in front of the panda exhibition halls. The farewell celebration will run through April 27. The San Diego Zoo is globally recognised. It hosts more than 4 million visitors each year.